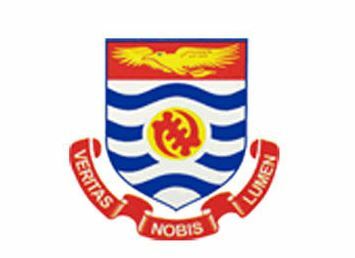 The University of Cape Coast invites applications from experienced, results-oriented and highly motivated individuals for the position of Director, Directorate of Research, Innovation and Consultancy (DRIC) which has become vacant. The Director shall be the Academic and Administrative Head of DRIC responsible to the Vice Chancellor for managing all matters relating to research, innovation, and consultancy. • The Director of the Directorate of Research, Innovation and Consultancy shall hold office for a period of three (3) years. Upon completion of the first term in office, he or she shall be eligible for re-appointment subject to favourable recommendations from Appointments and Promotions Board upon reapplication for a second consecutive term only. • Applicants must be scholars of high repute and of professorial status. • They must be individuals of stature and integrity with strong leadership, interpersonal and communication skills, capable of executing the responsibilities outlined above. • They must also possess a terminal degree (PhD) in a relevant discipline with over ten (10) of years working experience in a reputable university or related academic institution. • ability to liaise with the Directorate of Academic Planning and Quality Assurance to advice management on procedures that promote research-based teaching.